After learning about your royal heritage, you're off on a fantastic adventure to undo the amber curse and save the King and Queen! Return to your kingdom and free the people, animals, and objects from the Dark Queen's treacherous grip. 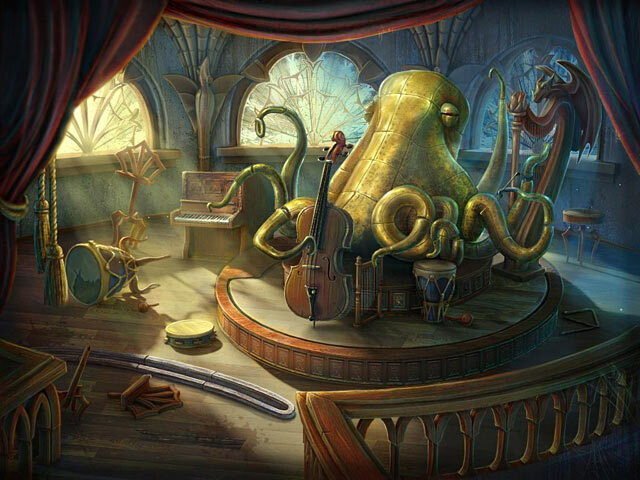 Fulfill your destiny and stop evil from taking over the entire world in Spirits of Mystery: Amber Maiden, an amazing Hidden Object Puzzle Adventure game. Spirits of Mystery: Amber Maiden is rated 4.2 out of 5 by 91. Rated 5 out of 5 by toby6336 from Wanted 2 play it again! Great game. Downloaded it immediately after playing trial. What fun! I played in casual level and will go back and play in expert. I ignored storyline as usual, so can not comment on it. I also play with no sound so again I can not comment on it. The HO's were usually done without hints; some puzzles created more of a challenge. Rated 5 out of 5 by klaaselady from Fun Game, Cohesive Story Line This was a really nice game to play. The story kept moving forward without a huge amount of guess work. Graphics and narrative very good. Lots of good HO scenes. Rated 5 out of 5 by glindamom from great game lots of H.O's and puzzles. Fun game to play. Rated 5 out of 5 by bgoetsch from Great Game! Both of the games in this series are two of my favorites! The game is not very challenging but is a nice relaxing game with good visuals and a clear concept of what you are trying to do. I played on expert mode and had no problem. There is not map but the hint button points you in the direction you are supposed to go and the journal saves anything you need to know. A little on the short side (took me about 2 1/2 hours to complete) but the ride was fun! I hope they add more to this series! Rated 5 out of 5 by Titania from Enjoyable game Having played 'the song of the phoenix' which was an excellent game, I had to get this too. The graphics and music were good, storyline was okay, I found the puzzles to be much easier than the ones in ' The song of the phoenix' The game flowed quite nicely and kept me entertained for a few hours. Overall I really enjoyed playing this game. It gets a thumbs up from me. 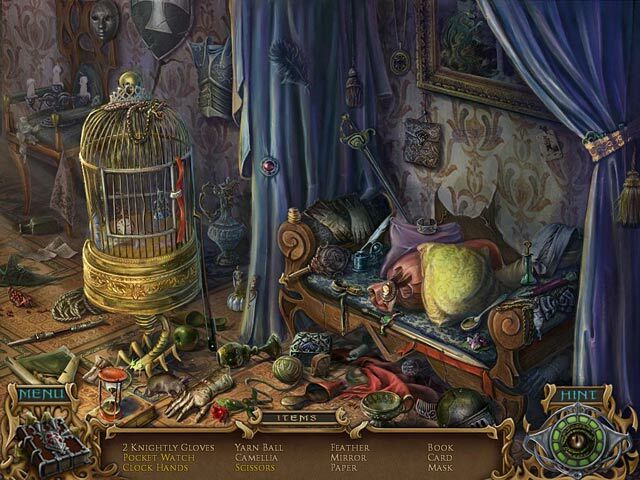 Rated 5 out of 5 by bowandarrow from love this game a great game for beginers .easy hints to follow .some puzzles a bit hard but the skip buttons keeps you realy interisted .diary was a great help easy to understand .hidden object games were bueat .beginers have a go at this game .thanks to the crew that made this game . Rated 5 out of 5 by arnold1049 from Challenging HO Game This was an excellent game. It was complex and had lots of puzzles as well as HO scenes. I only had to refer to the blog walk through a couple of times to figure out where to go next. I usually don't like a game that makes it hard to figure out where to go to the next step, The hints in this game just kept saying there was nothing to do at that location, but didn't tell me where to go next. But since it was only a couple of times at the very end, I guess i can over look that. Anyway, I enjoyed it. Rated 5 out of 5 by cjc_62 from Fun & Beautiful game This was a daily special and it received so many good reviews I had to try it for myself. I have to agree, I felt like this game was a breath of fresh air. Some games I keep playing just to finish what I started but am relieved when it ends. This game was fun and I enjoyed every minute of play time. I would highly recommend it. Rated 5 out of 5 by anitehawk from I really enjoyed this hog/adventure This was such a fun game. I am glad I purchased it. The graphics were great, the music relaxing (I actually kept the speakers on for a change). The storyline was fairytale good. A pleasant break from the usual dark plots. The HOGs were neither too easy nor too difficult, although I realized it is easier to find objects when playing in the evening. Natural light did make finding some objects more difficult. I had to use the hints once in awhile especially when looking for an object in gray scale. Some of the puzzles were more difficult, these can be skipped without penalty if necessary. The blog walkthrough was helpful at first but once I got used to what to look for during the game, I didn't need to refer to it to complete the journey. I highly recommend this game for all ages ... even us older folks! Rated 5 out of 5 by SouthernGal820 from A Great Value! I got this game on the week special for $2.99 - what a great value! I don't know how I missed this game when it originally came out but I really enjoyed it. It had a lot of HOS and mini games that were enjoyable. It was not extremely challenging but very relaxing and enjoyable to play. The graphics are really done well and the music wasn't bad. The only negative were the cut-scenes were slow. All in all though, a great game. Rated 5 out of 5 by mousehse from awesome was NOT prdictable at all!! made it hard for me to get off the computer and go cook dinner, will be looking for more like this, kinda made you have to think and remember plus it was nice and long!! Rated 5 out of 5 by Petruschka81 from love it I like this game a lot...Not super challenging but I love the graphic. Rated 5 out of 5 by aleta59 from Delightful Found myself smiling a lot and laughing out loud a few times at the little twists in the HO scenes and the interesting puzzles. Great story, wonderful characters and VOS. Most of the HOS were clear, but a few were hazy and hard to see. The cursor was a bit slow and clunky. Otherwise, a really enjoyable game. My time: 6 hours casual. 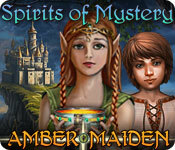 Rated 5 out of 5 by rawyres from Spirits of Mystery: Amber Maiden This is a very very fabulous game. How it can only get 4 stars I wonder!! 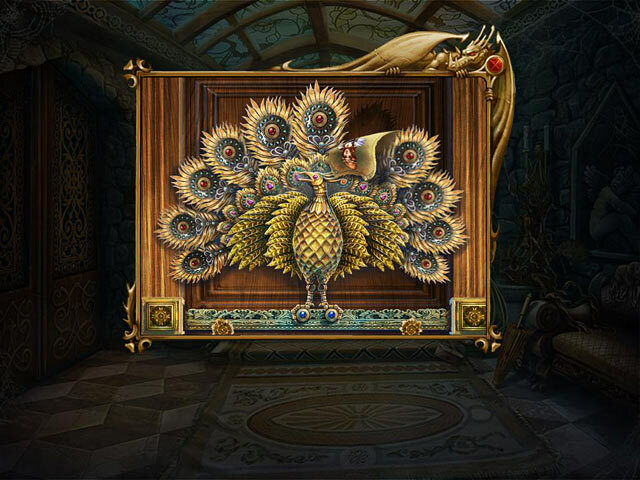 Great story and extravagant settings and hidden object sites. Bring it on boys, great!!! Rated 5 out of 5 by smallkrum from Beautiful game! I enjoyed playing this game all the way through. Beautiful graphics and relaxing music. I love it! Rated 5 out of 5 by Juju38 from Beautiful Game Such a beautiful well crafted game and a welcome change from the dark ones I've been playing of late...Fantastic story with crisp clear graphics and the HOS were not too difficult or too dark to find items. I would say this would be a perfect game for HOG beginners as i did find it too easy but that didn't stop my enjoyment of this magical game. The only downside was each time i would go for something from my inventory it would ask if i wanted to exit the game which was the only frustrating thing i experienced but all in all, FABULOUS!! Rated 5 out of 5 by ManatiPuertoRico from Fantastic Game It had at "Hello", as soon as the game started I was ready to buy. I LOVE voice overs and this is one is nicely done. It a fairy tale with a twist. IHOS are wonderful crisp and clear and items are too hard to find. Graphics are exellent and music is very pleasant. Played demo less than 1/2 and decided to buy but it was soo hard to get away from the game. A must buy especially at this price :) ! Rated 5 out of 5 by Nana6177 from Wonderful! Finally, a fun, beautiful game! Well done!, Beautiful graphics, good story line, enjoyable music. Much like a fairy tale, you are the princess. Would be a great game for an adolescent girl. I played in expert mode, the games were very easy, the HOG were some what challenging, there were three, maybe 4 times I had to resort to the hint button. Seems to be a cultural/language difference w/ERS, believe a russian team, would have you looking for a "ship hook", you would think anchor, but no it was something else (no spoiler here). There were a few of these situations, were I would retort, "your kidding", but all in all it made it that more interesting and made you use gray matter (nice). Totally enjoyable, great to share and play with a young daughter or grand-daughter. Definately give it a try. Rated 5 out of 5 by Calais30 from Amazing!!!!!! Wonderful game. Beautiful graphics. Engaging storyline. Rated 5 out of 5 by SarahMBarracuda from Contains all the elements for fun & intrigue This game was beautifully created. It had me hooked from the start of the demo and didn't navigate away from the plot. HOGs always left me with at least one item that I really had to search for. The variety of other puzzles only added to fun factor of the game. I usually buy the CE's but I only needed one more punch for a free game and to my surprise this version was not short by any means. ERS Games has won me over! Rated 5 out of 5 by lubby1 from Lots of fun! This game provided me with lots of entertainment without being to challenging. I enjoy the thought provoking games but don't really need them to be overly so. This game fills the bill and at the same time the visual effects were marvelous as were the accompanying sounds. The story-line and the mini-games all made sense! Rated 5 out of 5 by Muckenfuzz from Love those Russians! Amber Maiden is everything a game should be: beautiful scenes to look at; puzzles that are vibrant and challenging without being impossible; truly wonderful story line with surprise kicker, and unique aspects not seen before. I'd like to know what other games these creators have out there! Rated 5 out of 5 by Keke4342 from Pleasantly Surprised - Fun Game! I bought this game blindly, without benefit of a review or recommendation, but because I liked the description and preview screen shots. I was very pleased that it turned out to be so much fun and interesting. It is a game I will go back and play again from the start, and if I were you, I would buy it now for the Daily Deal price. Totally worth it! Rated 5 out of 5 by maxminpin from Delightful Game I am glad I got this on the 2.99 deal. To me it is a fun game. I usually turn the sound down so I really can't comment on that. The graphics are good. The storyline is the same as a lot of other games. Someone is trapped or lost and you have to find them. It is not a hard game to play not as intense as some of the others. I believe this is why I am enjoying it so much. It is a more relaxing game. After some of the games I have played lately it is nice to play a game like this. I love the $2.99 deal. Please do this again BF. I got to buy some extra games that I would not have purchased if I had to pay full cost. Rated 5 out of 5 by FORTUNATUS from One of my favs.... This should be the poster child of what a good game can be.... it contained all the aspects that make a game intriguing, exciting, fun and enjoyable. The artwork was superb, the unique gameplay incredibly imaginative, music excellent, and storyline magically unpredictible and creative. BFG, please bring on more games like Spirits of Mystery, Amber Magic.... I didn't want it to end! Rated 4 out of 5 by cybersauced from Spirits of Mystery: Amber Maiden ~ Easy Breezy Based on completed game. This game was fun to play, but quite easy. Great game for beginners or an easy afternoon. It took 3 hours 45 minutes. Puzzles were easy, HOS were clear and easy enough to find. Rated 4 out of 5 by MercuryNeptune from short but fun game in the series We have to unfreeze the family of the Princess in this game. It takes us from a cottage to a small village and then a castle. Not many rooms it seems but one is kept busy. There are the usual HOGs and some mini games but nothing big about this one. It was fun though and that is what matters. Rated 4 out of 5 by Italia47 from After all your hard work, Barney saves the day! ERS always puts out great games and this is one of them. I played the standard game in expert mode and it was a lot of fun. Lots to do and very clever puzzles. Truthfully, though the game flowed really well, I think it should have had a map to export you from point A to point B. All games should come with that, but then the game would have probably ended sooner. The HOS were pretty good; as one reviewer commented it was that last item that became difficult to find. So many lizards! And the game was fairy-tale like but it had a lot to offer. Voiceovers were great, artwork was wonderful and the storyline kept my attention. I really want to give this game 4-1/2 stars but it's not offered here, so a 4-star it is, and I highly recommend this game. BigFish is amazing; they offer great deals for members and non-members alike, and I suggest you grab them when you can. This was one of them and a fun game, to boot! Rated 4 out of 5 by klfrr from Good to play with little ones I played along with my daughter of 7. It wasn't too scary or too hard. She was intrigued by the story.